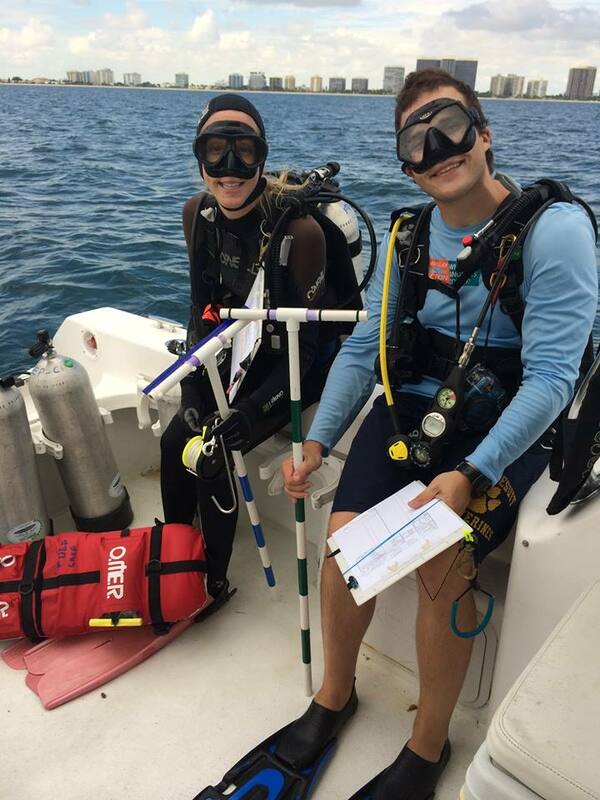 Staff of the Florida Department of Environmental Protection’s Coral Reef Conservation Program (FDEP CRCP) partnered with local universities and agencies to conduct more than 300 Reef Visual Census (RVC) surveys on southeast Florida’s coral reefs from Miami-Dade through Martin County this summer. The final surveys were completed on Monday, October 28th, and give scientists insight into how local fish stocks are doing in relation to diversity, size classes, and abundance of each species. The number of surveys increased by 20% in 2013 and is anticipated to grown in 2014. The FDEP CRCP staff began the surveys in August 2012 and partnered with staff from NOAA National Marine Fisheries Service, the Florida Fish and Wildlife Conservation Commission, the FDEP Park Service, University of Miami, Miami-Dade County Department of Environmental Resources Management, and NOVA Southeastern University to conduct the surveys. The survey documented fish species as small as a neon goby and as large as spotted eagle rays. The data from 2012 and 2013 will be analyzed in May 2014 and will be reported out in a future blog by the FDEP CRCP.